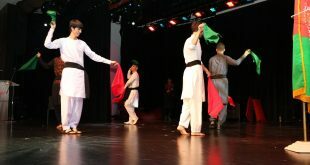 On May 11-12, the Embassy of the I.R. 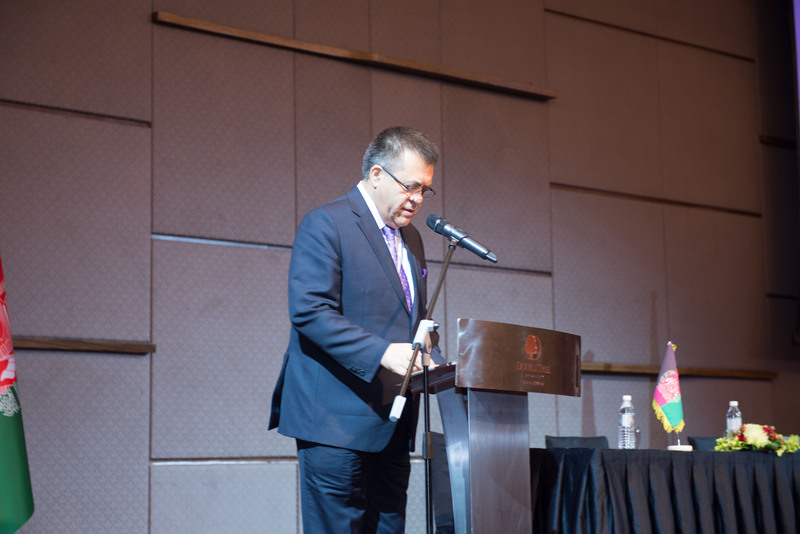 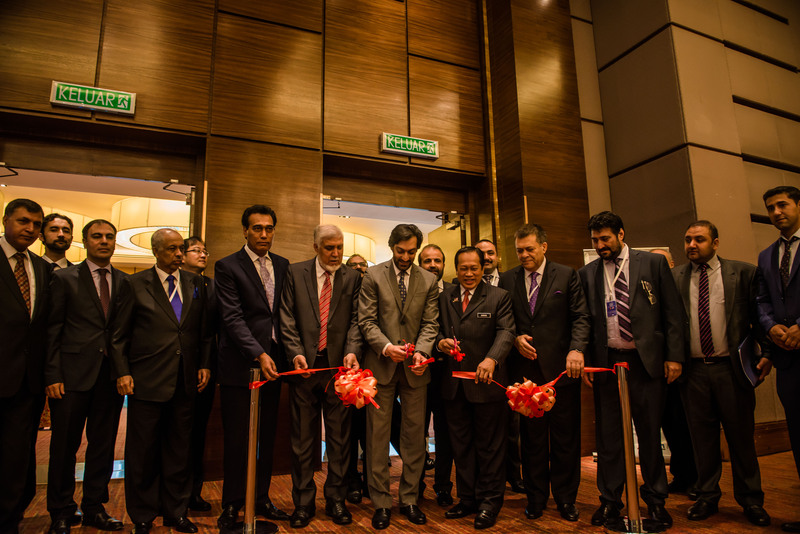 of Afghanistan in Malaysia organized a two-day business forum in Kuala Lumpur, Malaysia. 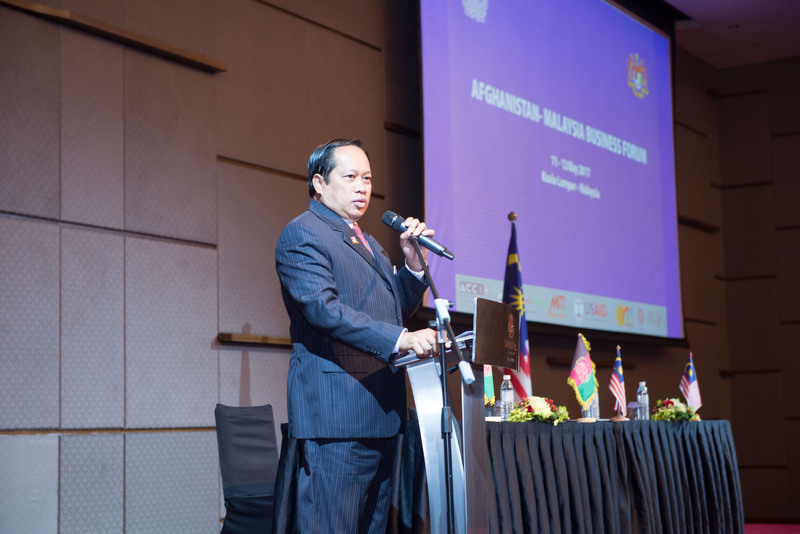 The purpose of this business forum was to encourage Malaysian businessmen and investors to invest in Afghanistan. 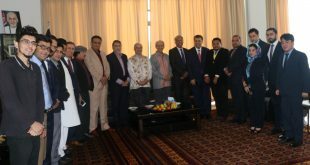 The Afghanistan-Malaysia business forum which was hosted by the Embassy and sponsored by USAID (United States Agency for International Development) was attended by around 250 Afghan and Malaysian businessmen and investors including Datuk Ahmad Maslan ,Deputy Minister of International Trade and Industry of Malaysia, Mohammad Qurban Haqjo, Acting Deputy Minister of Commerce & Industries of Afghanistan, Khan Jan Alokozay, acting chairman of Afghanistan Chamber of Commerce & Industries, members of Afghanistan Exporters Club and representatives of Afghan Business Council in Dubai, representatives of MATRADE (Malaysia External Trade Development Corporation), Malay Chamber of Commerce Malaysia (MCCM), and MIDA (Malaysian Investment Development Authority), and around 15 foreign diplomatic heads of missions in Kuala Lumpur. 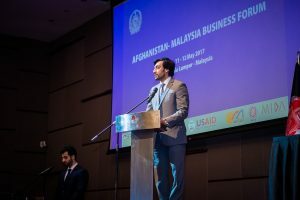 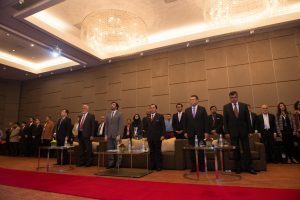 The forum consisted of Business to Business networking and match making events, for the establishment of stronger business relations between the Afghan and Malaysian Business Communities, Chambers of Commerce, Business Councils and the Export and Import Agencies of both countries. It also provided the opportunities for exchange of views, expertise and experiences among the sectors across the business spectrum in both Afghanistan and Malaysia. 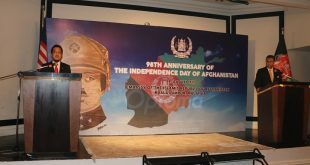 The forum raised awareness of Afghanistan’s untapped potentials, national treasure and investment opportunities that have been existed in Afghanistan. 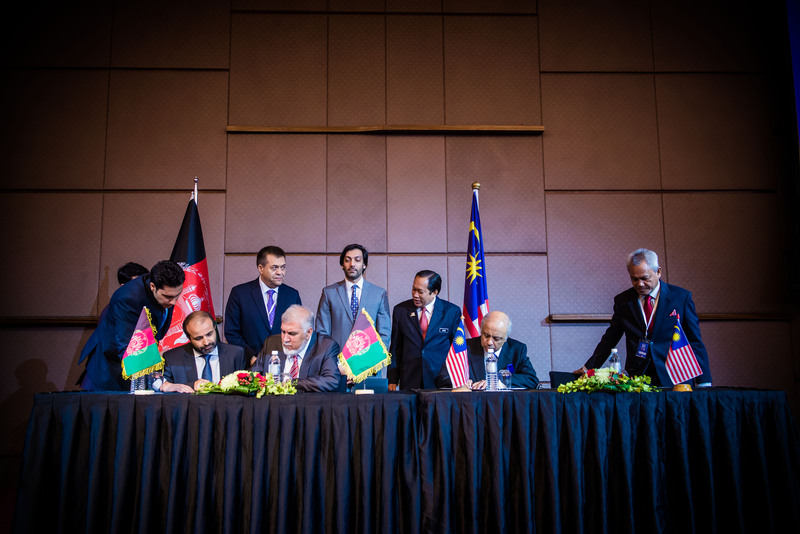 Besides, a MoU was signed between Malay Chamber of Commerce Malaysian (MCCM) and Afghanistan Chamber of Commerce & Industries (ACCI) to establish Malaysia-Afghanistan Business Council which will be a milestone for the future economic cooperation between Afghanistan and Malaysia. 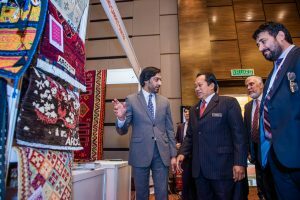 The exhibition in Afghanistan-Malaysia Business Forum represented Afghanistan’s biggest prospects in export of fresh and dried fruits, saffron and spices, carpets, lapis lazuli, handicrafts, gems and precious and semi-precious stones. Bilateral trade between Afghanistan and Malaysia was recorded $85.1 million in 2016 and it is expected to increase 10% this year. 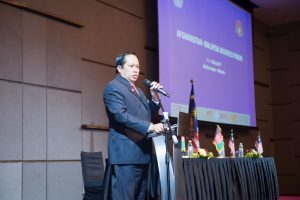 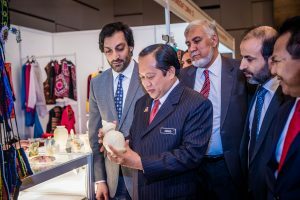 Deputy Minister of International Trade and Industry Datuk Ahmad Maslan encouraged local businesses to look at Afghanistan as an export destination with massive opportunities in the sectors of palm oil, electrical and electronic products, chemical and chemical products, as well as, optical and scientific equipment. 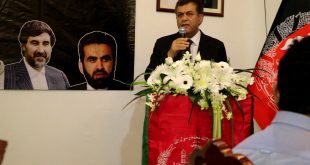 Acting Deputy Minister of Commerce & Industries of Afghanistan, Mohammad Qurban Haqjo, stated that the two-day business forum will help boost economic ties between both countries by highlighting Afghanistan’s business friendly environment and liberal legal framework. 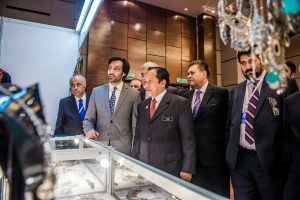 He welcomed the participation of Malaysian investors in Afghanistan’s mining, agriculture, agri-processing, infrastructure development and information technology sectors, while enjoying 100% ownership of the investment and long-term lease of land up to 100 years.